A long time no blog, I know, and I'm sorry! You know I love you all, and I've been thinking about you lots, I promise! 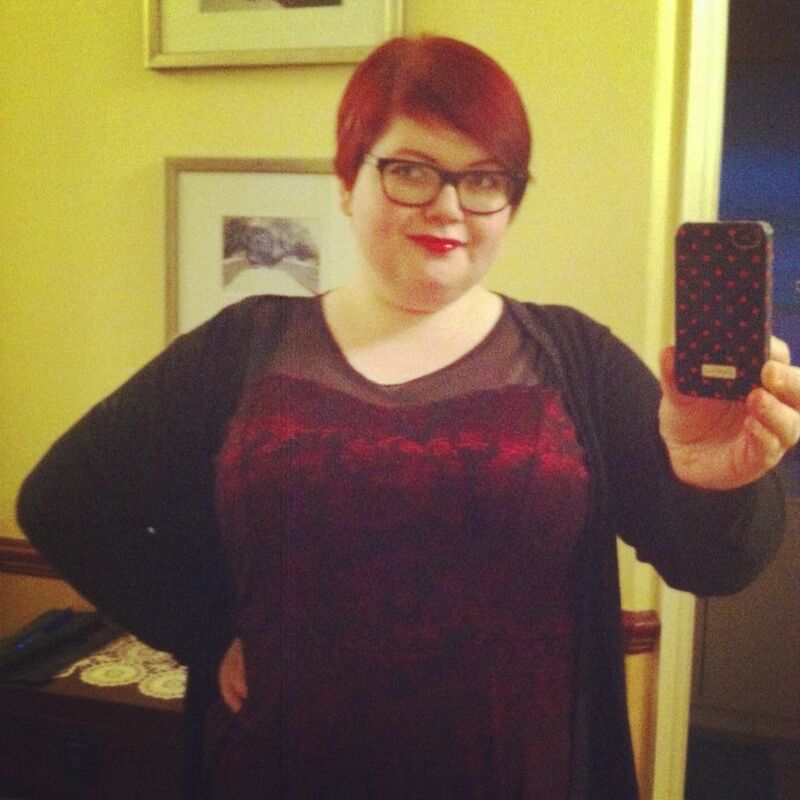 A few weeks back, the lovely Sera over at http://www.theagoraphobicfashionista.com/, set us fashion bloggers a challenge - to find a red dress, worthy of a Valentines Day to remember, in the budget of £20. Now, I love a challenge. I love the idea of saving money. I do NOT love Valentines. I'm not going to go into the finer points of whys and wherefores. I reckon you can all guess. But this, I thought, this I can do. 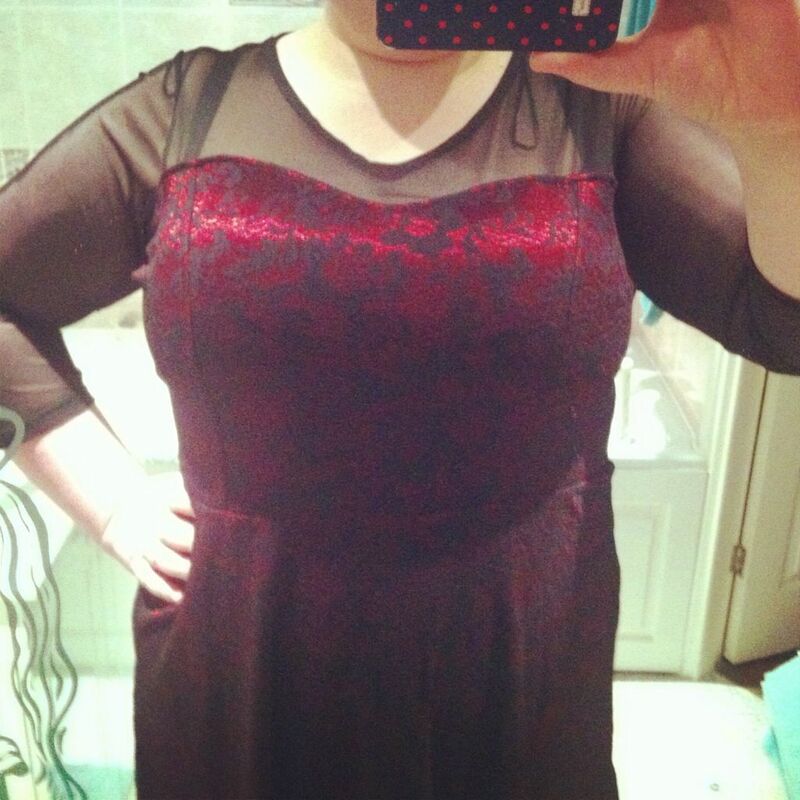 I found the perfect dress over at www.evans.com, and managed to google myself some extra discount, so my Valentines dress was £19, with free P&P. Red red redddddddddddd! It is a sumptuous red, with lace overlay. The sweetheart neckline is flattering, and the length is Kathryn approved! The sleeves are a great touch - perfect for those who want their arms covered, but adventurous for those of us who want to show off a little bit of skin!! I was really concerned about sizing from Praislin, so sized up to a 22, and you can tell that it is not my usual nipped waist, but a sparkly belt will do just the job for that! Enough to say I've chopped the strings out of the shoulders, and I was all set for the office. Yes, you heard me, OFFICE. I may not have a Valentines tradition of meals or nights out with other halves. 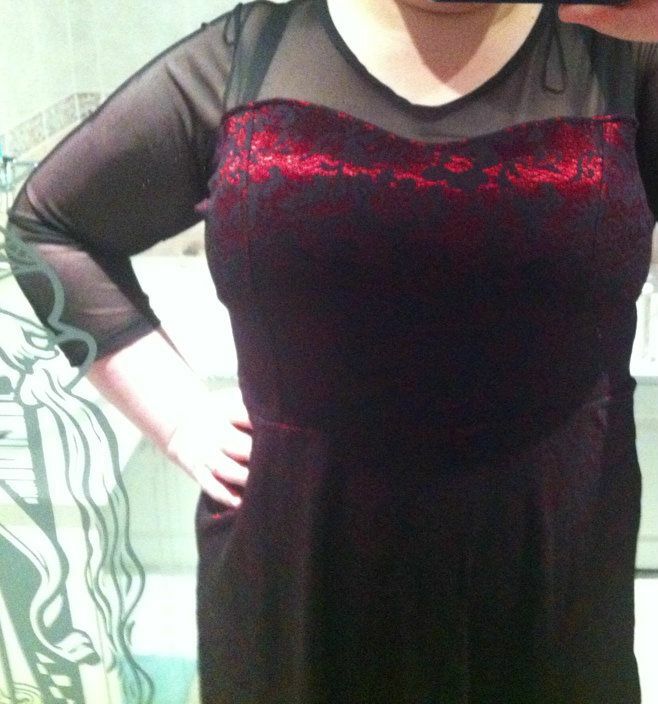 But I wanted to road test this dress, see my true opinions on it. And I wanted to show it off!! Oooh, this dress got some attention, I can tell you. All good, positive, complimentary comments. Beautiful dress, you really suit it and well done on the google discount. I have never been successful with that! This is a beautiful dress !